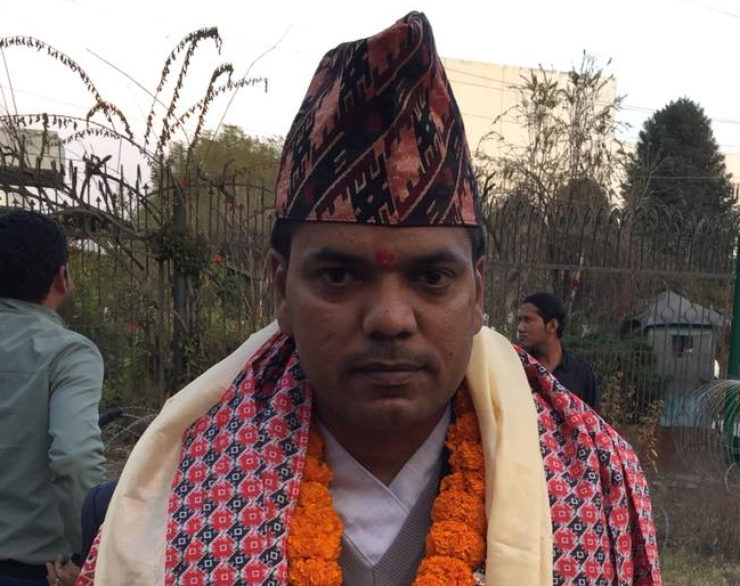 As part of a miniature series, IFES staff interviewed elected Political Leaders with disabilities throughout Nepal. The fourth and final Q&A, highlighting Prakash Pantha, which has been lightly edited for clarity, is available below. In my student life I was very active in politics and I had won the election from the free student union. Furthermore, I was associated with different clubs, organizations, etc. After I had a prosthetic leg, I felt that I was the only person walking with such leg. I was equally worried that if this prosthetic of mine is damaged then I will have no future. But, slowly I overcame this fear and started talking to my friends about doing something for persons with disabilities. My circle of friends in the disability sector started to grow and ultimately, we established a disabled people's organization (DPO) that would rehabilitate and reestablish persons with any type of disability. Yes. First, when I filed for candidacy with my party I received many acknowledgements from the people of my region. Later, I heard the news that there was another candidate from another party in the disability quota. But, this person was not a person with disability. Hearing this news, I was deeply hurt because I had given up my candidacy to work to further persons with disability along with fostering the disability movement. However, after many struggles and hurdles, I was finally elected. I want to say that I will now work towards the construction of buildings, roads, bridges, schools and more. I will put forth my strong view on having accessible construction and an inclusive environment that will ease accessibility for every person, including persons with disabilities. I am planning to make a steering committee, which includes a team of disability experts. In addition, I will focus on implementing policies, laws and acts that will bring real change to the livelihood of persons with disabilities. I would suggest to first get an education and then gain capacity in their field of interest. Then you can come from your place with a vision.